Active Cycle Mackay is an R U Commuting initiative family cycling fun day to encourage and offer the people of Mackay a fun, safe opportunity to experience cycling. Whilst promoting the benefits of cycling one of Australia’s most scenic city cycle tracks, the purpose of the event is to encourage a healthy, active lifestyle promoting cycling as a fun, cost effective and environmentally sustainable means of transport. Healthy transport happens daily, minute by minute, pedal by pedal. Be Active - Be Cycling! is a great way to maintain a healthy lifestyle and minimise the impact of chronic diseases. R U Commuting works to inspire families and individuals to make healthy transport choices and to actively manage your well-being. 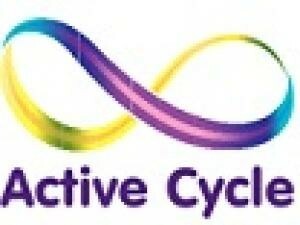 Active Cycle promotes cycling as a fun, cost effective and environmentally sustainable means of transport. The spectacular backdrop of the event starts at Canelands Park, and follows the Bluewater Trail cycling pathways 7km to the Botanical Gardens. The route will be highlighted with family based activities, support crews, and stops throughout the route that will aim to expose the outdoor recreation hidden treasures of Mackay. To top it off the round trip the event finishes at the stunning Botanical Gardens, with a spectacular festival and mini expo which is designed to encourage the participants to relax and continue the evening enjoying the atmosphere. The Event will run from 8am to 1.30pm in the afternoon with an expo of approximately 10 stands with sponsors and supporters. R U Commuting, stakeholders and sponsors will be proud to support the Kids with Cancer Foundation which is a well-known Australian based not-for-profit organisation. Sponsors and Participants will have the opportunity to directly contribute to this fantastic cause and all funds raised at the event will remain in the community of Mackay to help the children and their families.